June 2nd: Ireland secretary for Unite, the largest union in Britain and Ireland, Jimmy Kelly, visited Encirc Glass plant at Derrylin with a team of senior union representatives today for a tour of the factory. The visit comes on the back of a strong endorsement by workers of a two-year pay deal which will see them secure a five per cent pay increase, additional paid holidays and will see the incoming management take on additional apprentices. “When they bought the Glass plant, Unite sought and received assurances from new owners Vidrala that they would commit to upgrading the existing furnaces when necessary over the next few years. Management have reiterated this promise, which is a very sizeable investment indicative of the long-term commitment Vidrala has expressed for production in Fermanagh. “The pay deal negotiated and agreed between management and workers will underpin the growth and development of Encirc and secure vital employment for the Fermanagh-Cavan area”, Mr Kelly concluded. 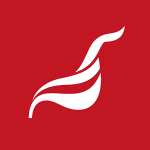 Unite official with responsibility for the union’s membership across the former Quinn group, Brian Monaghan, was present and expressed Unite’s important role. “Unite is committed to working with management to safeguard employment and to secure the best possible deal for our members. We have only one agenda – representing our members. “Unite is now the only body that represents workers from across the former Quinn group. Given the variety of ownership, Unite now has a vital role to play ensuring that contracts are not outsourced outside the group so as to protect our members jobs”, Mr Monaghan said. This entry was posted in Northern Ireland news, Press Releases, Republic of Ireland news and tagged Cavan, Encirc, Fermanagh, Glass, Investment, Jimmy Kelly, Unite, Vidrala. Bookmark the permalink.